Pearling cones are used for polishing of Raw as well as Parboiled rice. It is provided with heavy duty cast iron construction. It is properly balanced cone with smooth vibration less running. Cool and dustless milling with minimum breakage of rice. Large screen area is provided so as to avoid cake formation. Pearling cones can be available in motorised model as well as belt driven model. Bran suction system with negative pressure blower, can be supplied as per demand. 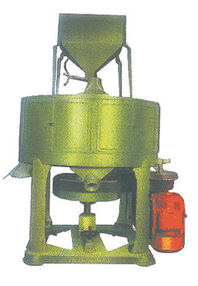 Suitable for Raw milling as well as more suitable for Parboiled rice. Very less cake formation due to large screen area.